With the consistent support of our industrious professionals, we have been able to provide an excellent quality collection of Tropical Walnut Flooring that is available in different sizes and designs. The heartwood is a rich dark brown to purplish-black, mostly straight grained, but with wavy or curly grain occasionally present. The texture is rather coarse. Polishes to a high finish. a) General description: The heartwood is bronze orange-brown, with gum lines causing clack treaks or lines. It has moderately fine texture and is lustrous. - 4 sided moisture protection. 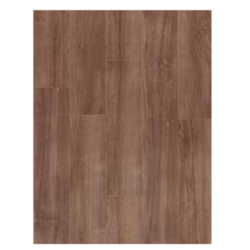 Due to our immense capability in this work domain, we have brought forth a huge variety of Walnut Engineered Flooring.